Topic: The App Attack! Share your favorite (or not so favorite) apps with us. 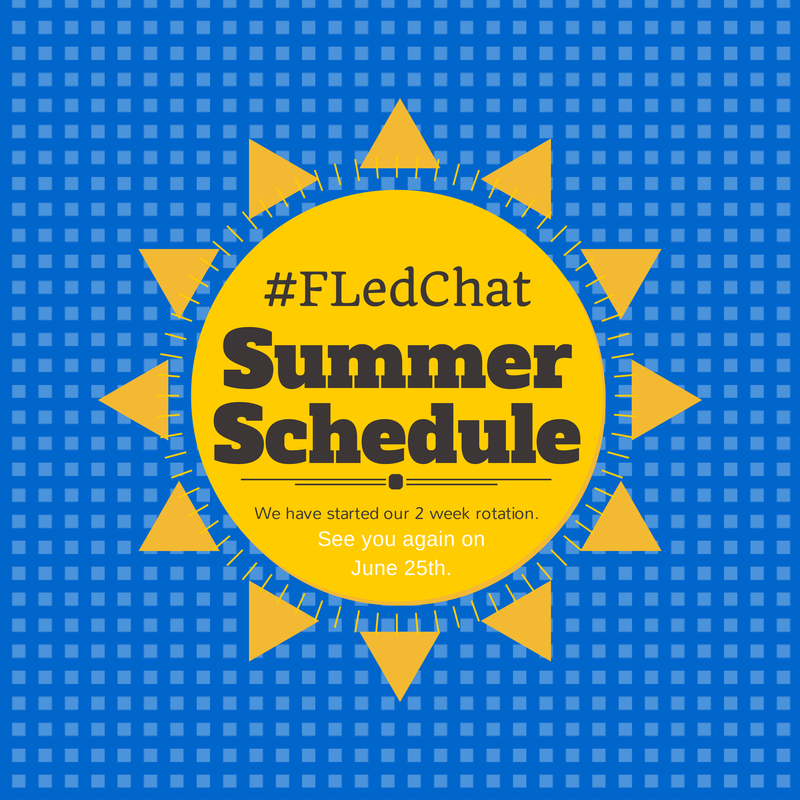 As we begin our off season, Dennis and I have decided to take #FLedChat to every other week. Feel free to create your own conversations during our off nights. You never know, one of us just may be lurking around wondering if anyone wants to talk. Here is our schedule for the summer. As always, if you have topics you wish to discuss, we are always open for suggestions. Our weekly schedule will resume in August. Topic: Reflections — Looking back on this school year. Topic: PBL (Project Based Learning), How Important is it? Topic: Innovation–What is it? Why is it important?